The Super Antenna MP1C is a manually tuned antenna that can be used on 40 meter HF through UHF with adjustment or re-configuring . 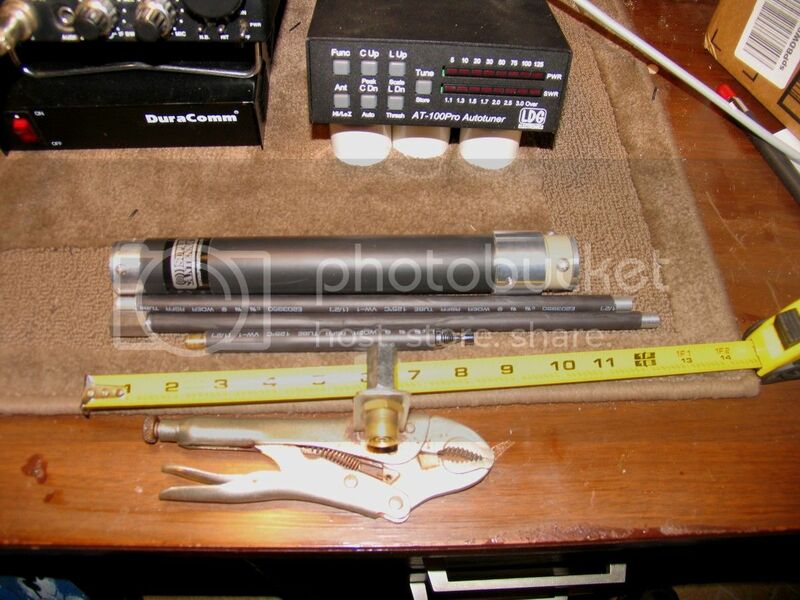 I have used this and a similar Blue Star antenna for many successful contacts as a portable and or mobile antenna. 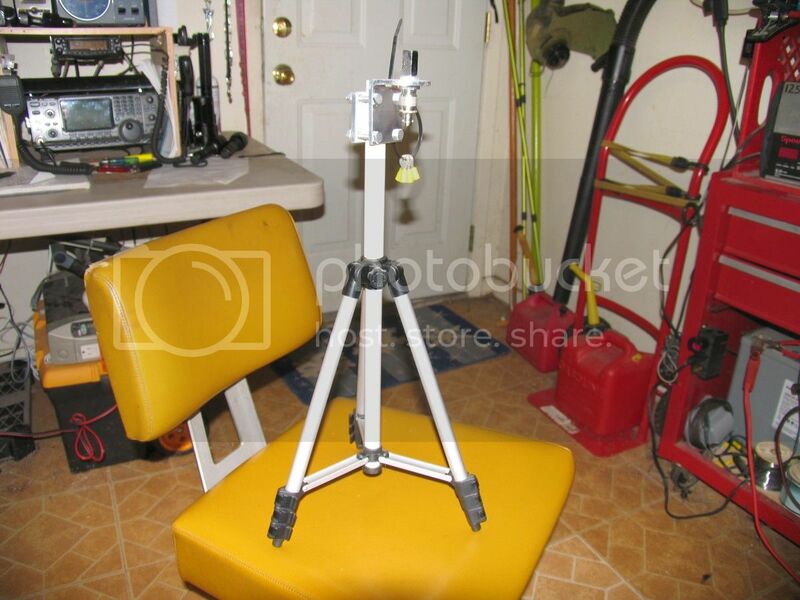 or a 3/8 x 24 mount on a $10 camera tripod with 3 or more 17 foot long radials/counterpoises in place. and it can be used as a side mount (horizontal) for NVIS while the fence or auto is stationary...BIG PLUS. as effective as the tunable Super Antenna...I still rather use wire antennas,but for speed and ease of deployment...these portable antennas are GREAT! that feels much sturdier...well worth the price.Note that I did sleve my antenna with heat shrink for glare and rattle reduction. The common 3/8x24 mount is nice as well, though running 3+ 17' counterpoise wires does add a little more deployment effort in some situations. Since you've demonstrated to me and other new(er) hams the effectiveness of cheap homemade antennas, $130 seems a little steep, but we're paying for flexibility. I've seen these antennas of Carls! For the price and construction, they are quite the antenna! I haven't seen them in use, but I am sure they performed just fine! The entire setup is extremely simple and portable! (Note the giant "matchbox" container he's able to store the antenna in). I will say this, something I hadn't seen, nice touch Carl, on adding the heatshrink to the antenna. Serves both a functional and a cosmetic appeal for the antenna! Awesome report! Definitely wanna order a set for myself one day! I know how well certain antennas work as apparent by my use of the MFJ Apt. Antenna! I think this would be better and even more portable! But when you add up the cost...the Super Antenna MP1C is a smoother/lower overall cost unit...I have the BLUE STAR(about $100),a SUPER ANTENNA MP1C ($130)and also Wolf River coil ($60)and find the Super Antenna MP1C as a bargain for function and utility...though I could get by with the single band whips if I had too. The VICE GRIP mount and 5 inch magnetic mount can be about $15 each on AMAZON. Note the slider to adjust and plastic screw to lock adjustment. 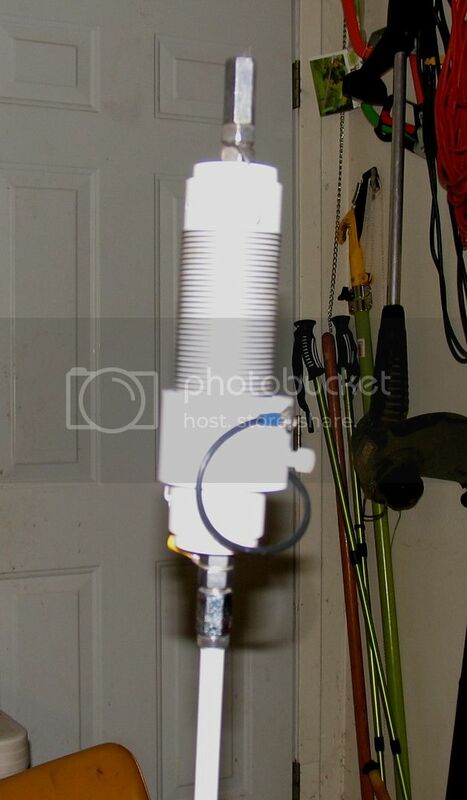 I have this antenna, I bought the kit on Amazon which has the 80M coil, the titanium wire whip, and the tiny screw together tripod (along with the standard telescopic whip and the c-clamp mount). Low impact - with the included tripod this antenna is entirely self supporting. Many of us are also fond of wire antennas such as the classic 9:1 un-un fed random wire, but with that we need tree(s) or other support to get the wire into the air. This antenna stands on it's own, you go into a park or wherever and you don't need to disturb anything in your surroundings, just screw the pieces together, lay out your counterpoise wires, stand it up on it's feet and operate. High Q, high efficiency, no tuner needed - this antenna is basically a screwdriver antenna without the electric motor. 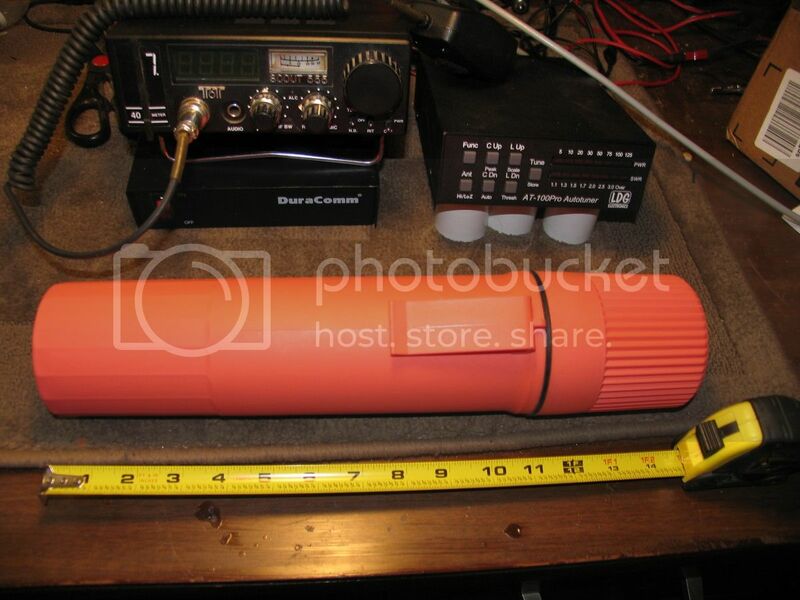 Though the radiating element is only 7' long the performance on 20M and above is almost equal to a full size vertical antenna, and it is no slouch on 40M. This is superior to most of the "wander lead" adjustable loading coil antennas from Buddipole, Outbacker, MFJ and various Chinese manufacturers, select the right counterpoise wire (or just use them all) and move the sleeve up or down the coil to tune to resonance in seconds. Mo magic "all band no tuner" gimmicks here (resistors), you tune to resonance all the fire goes to the wire. Use the telescopic whip without the coil and adjust for length to have a full size vertical for 6M, 2M, 1.25M, or 70CM, no goofy lobes directing most of your power to the sky (or the ground) to be absorbed. True vertical antenna, low angle, works DX - needs no explanation. There are still times and circumstances where you will like your wire and un-un or whatever else you use, but the MP-1 will generally get you farthest on the higher HF bands. Clinging Bitterly Karma for you,Great post supporting the antenna I have had such success . I use a larger speaker support tripod now as I often mount different antennas and find it more stable in wind and weight capacity of 125 pounds will hold most any antenna. I understand the need to be more portable for air travel and the MP1 is hard to beat for a portable antenna.